Hi Greg, thanks for the comment. Glad my review inspired you that way. I hope it does the same for others. Guy’s eBook received quite a bit of attention when it first came out. I may be a little behind the breaking news curve, but I feel his eBooks will be relevant as long as digital photography is around. Regardless, interest is still quite high now. 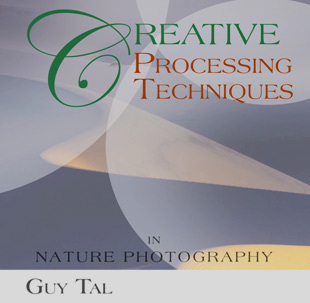 Guy deserves it because in his eBooks, besides being an inspiration, in my opinion, he is doing the kind of photography education that is much lacking today and much needed. He shows us not only technique and philosophy, which everyone seems to offer in large volumes, but also how to bring out the best in ourselves as artists. It is clear from reading his writings that he puts a great deal into each project. He isn’t just whipping something out quickly to make a buck. He is providing an experience that changes the way people look at photography and at themselves, which is commendable and important in any field. I’m glad you brought it up, even if you are “slightly behind”, because I hadn’t heard of this book. Seems like a great read, I’ll have to pick it up! Thank you for the comment, Matt. Guy’s eBooks are some of the best ever published.